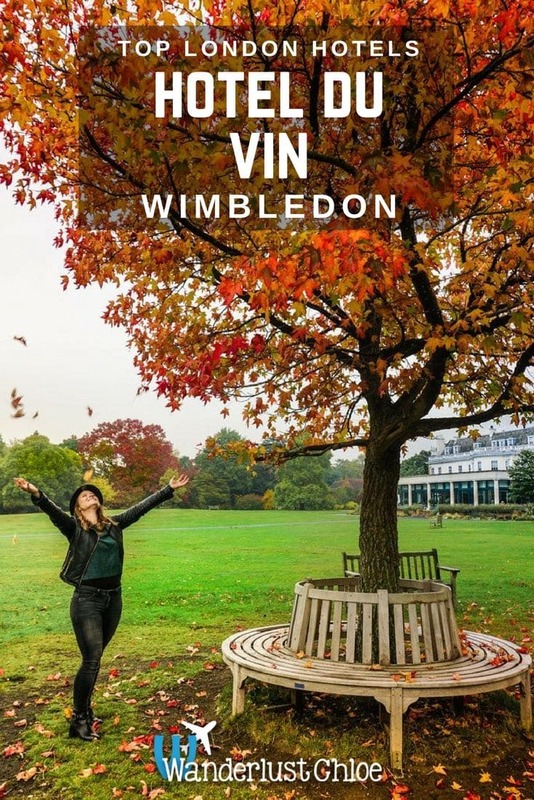 Forget the tennis, there’s another BIG reason to take a trip to SW19 – for a relaxing getaway at Hotel Du Vin Wimbledon! 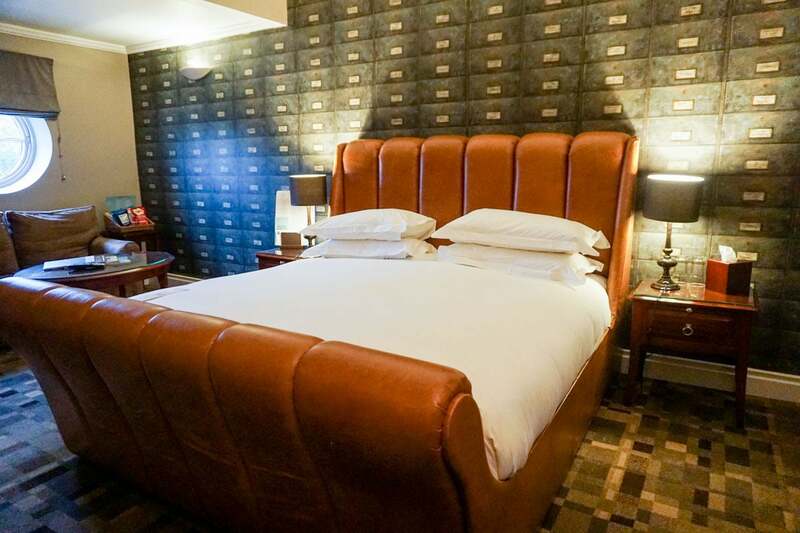 When it comes to mini-breaks, London might not be your first choice, but that’s where a hotel like this is just perfect! 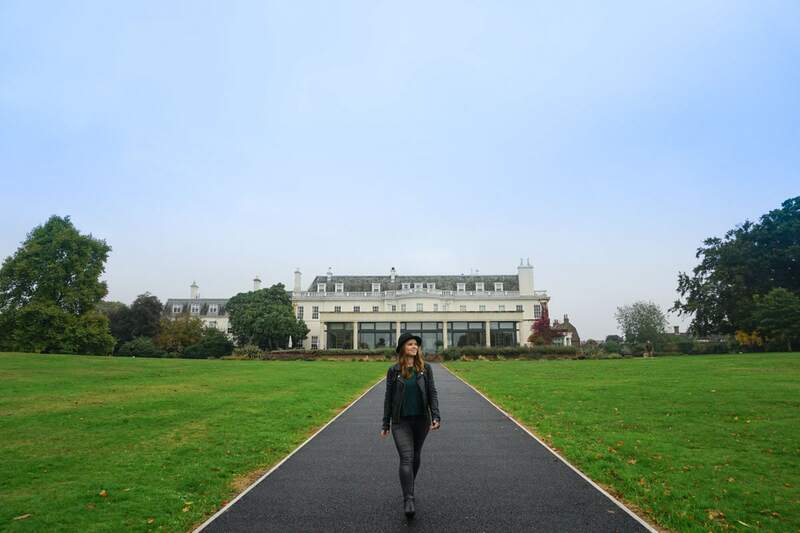 It has the feeling of being in the countryside, set in beautiful parkland and close to upmarket Wimbledon Village, yet you’re just a short tube ride to the bright lights of the city. It really does offer the best of both worlds. I visited in October, enjoying the Eat.Love.Stay package, which included a three course dinner, a glass of wine per person, an overnight stay and a full breakfast the next morning. So, time to find out more… what’s the hotel like? Where is it? Who’s it suitable for? 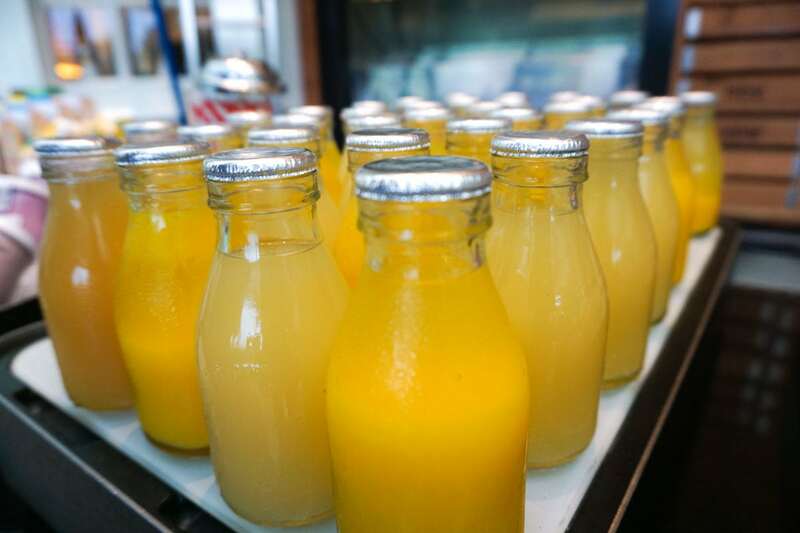 And most importantly – is the food any good?! Hotel Du Vin has a collection of smart hotels around the UK, many in unique and historic buildings. 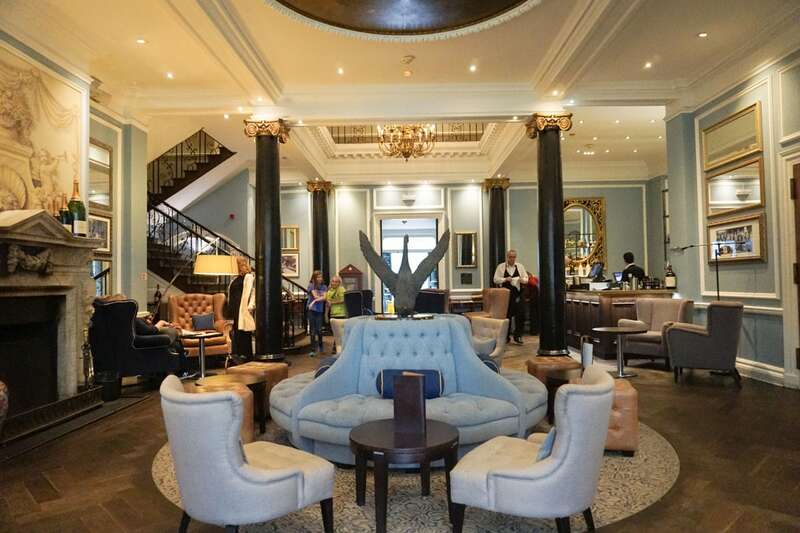 I was familiar with the brand after eyeing up their gorgeous hotel in Brighton many times! 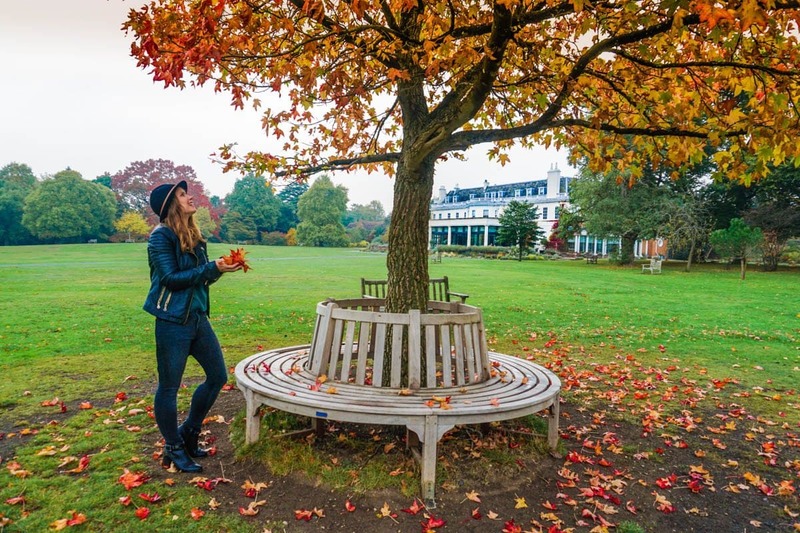 Cannizaro House, their Wimbledon outpost, is a large 19th Century house overlooking Cannizaro Park – a sprawling collection of parkland and gardens that was looking particularly pretty as Autumn rolled in. There was a sense of grandeur as we entered, peeking through to the bar, lounge and the floor to ceiling glass of The Orangerie. After reading about the history, it felt appropriate to hear the house had hosted the likes of Lord Tennyson and Oscar Wilde! It was quintessentially British in character. I loved the bar and lounge area of the hotel, which is both sophisticated and cosy! In the centre of the lounge there’s a striking circular banquette with seating around it. 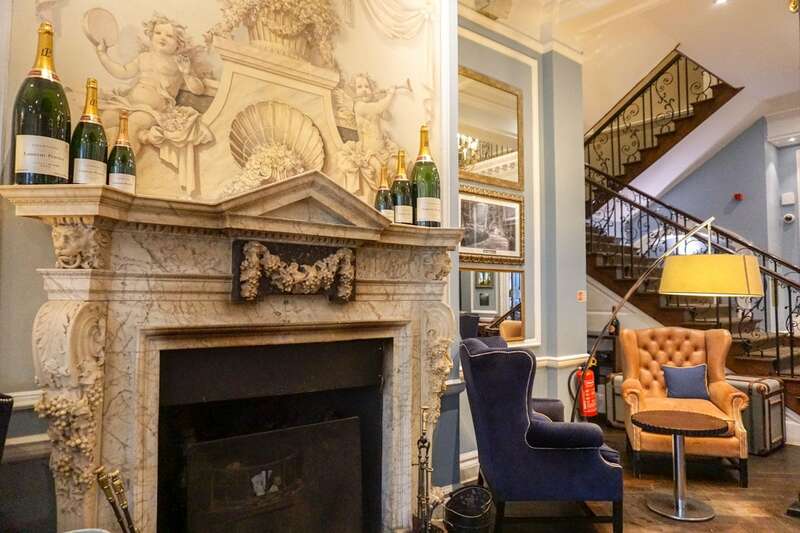 To the side, a fireplace with an ornate marble mantelpiece, topped with bottles of champagne. There are tall columns topped with gold, mirrors with thick gold frames and chandeliers. It definitely feels like somewhere you’d visit for a special occasion. Just beyond is The Orangerie, Hotel Du Vin’s restaurant where we enjoyed both dinner that evening, and breakfast the next morning. What a room! While it’s a lovely open space (with retractable roof and huge doors opening straight out into the park) it’s the view of Cannizaro Park which makes it extra special. The greenery is uninterrupted, with the autumnal colours of red, orange and brown making it especially pretty. After a quick check in we were shown to Lenoble – a large bedroom on the second floor. The huge sleigh-style brown leather bed, looked very inviting! 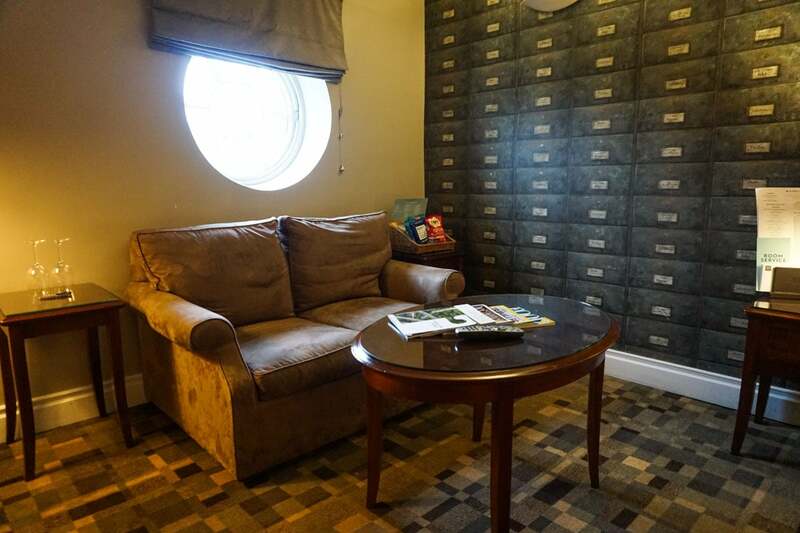 There was also a sofa area, desk with coffee machine and an intriguing feature wall which resembled a retro filing system. While downstairs had an emphasis on gold and pale shades, the bedroom was darker, more mysterious and felt particularly cosy on a moody Autumnal day. The bathroom was stocked with lovely REN toiletries and had a really powerful shower. 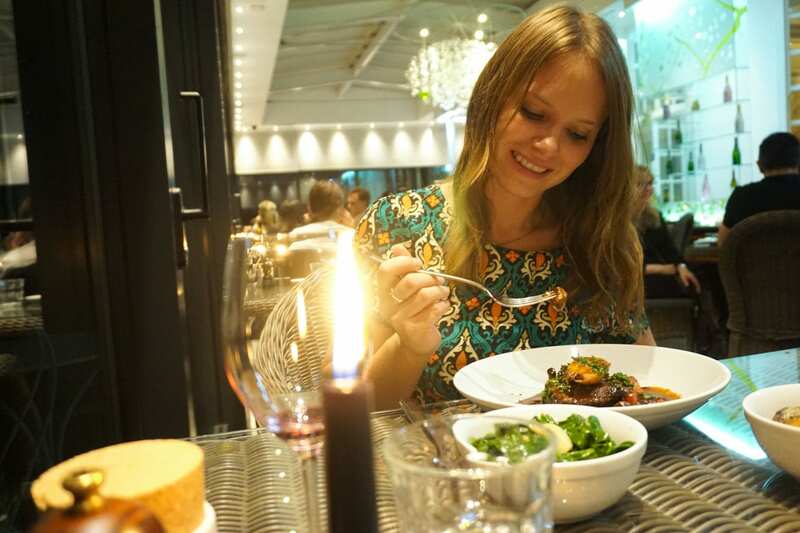 We enjoyed dinner and breakfast as part of our Eat.Love.Stay package, both of which were served inside in The Orangerie. 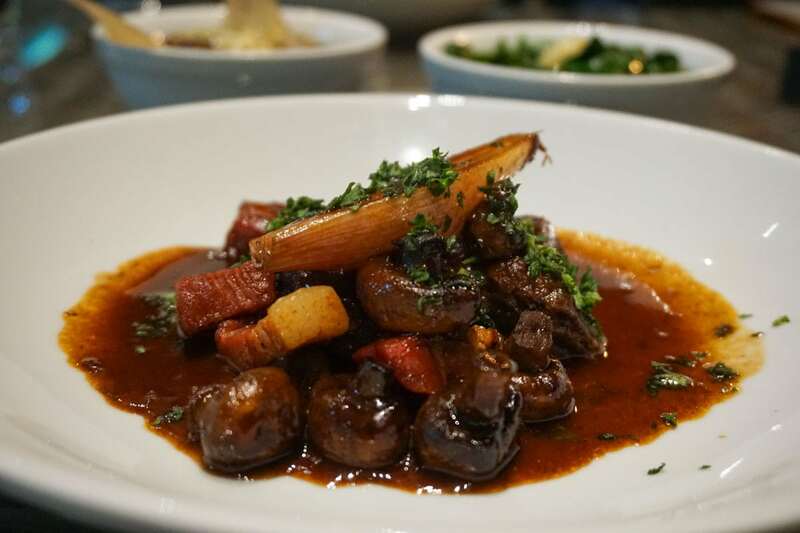 We could select from the fixed price menu for dinner, which featured classic French dishes including steak tartare, onion soup, tarte Provençale, boeuf bourguignon, mushroom crepes and bouillabaisse. 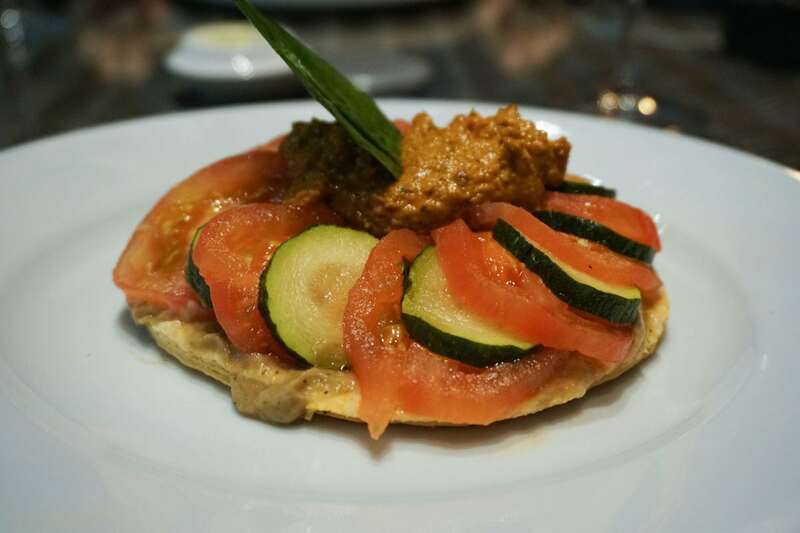 With only three options per course, it was a shame to discover that the bouillabaisse wasn’t available the night we visited, but we were still excited to sample some other French classics. 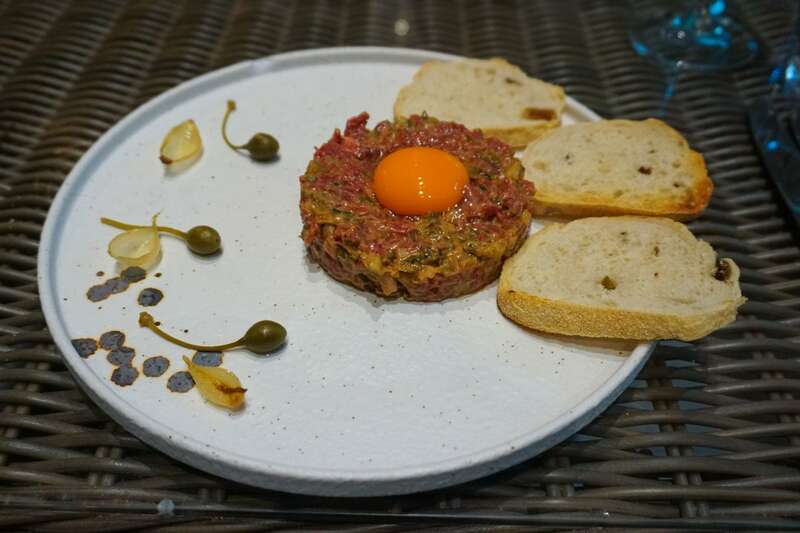 The steak tartare was seasoned well, and nicely presented, and while the vegetarian tarte Provençale was underwhelming, the delicious boeuf bourguignon more than made up for it. It was generous, rich and warmed us up after our Autumnal afternoon. 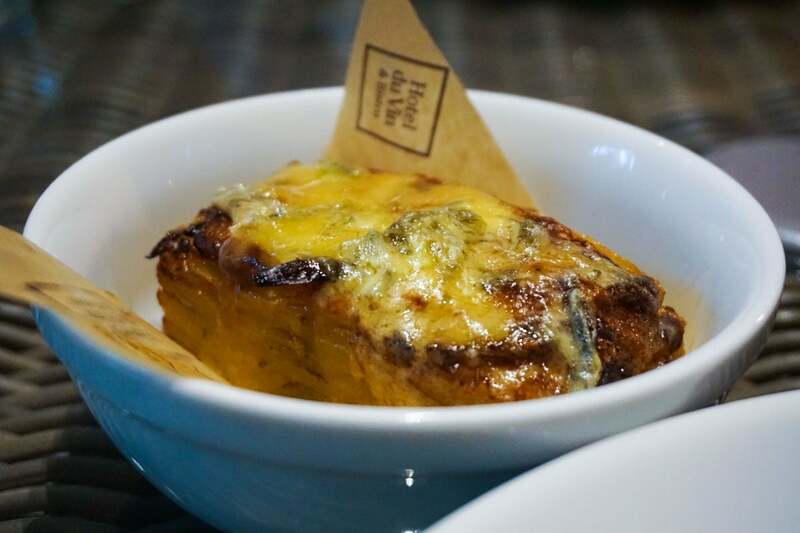 Another winner was the side of potato dauphinoise which was creamy, indulgent and had a satisfyingly salty twist from blue cheese. 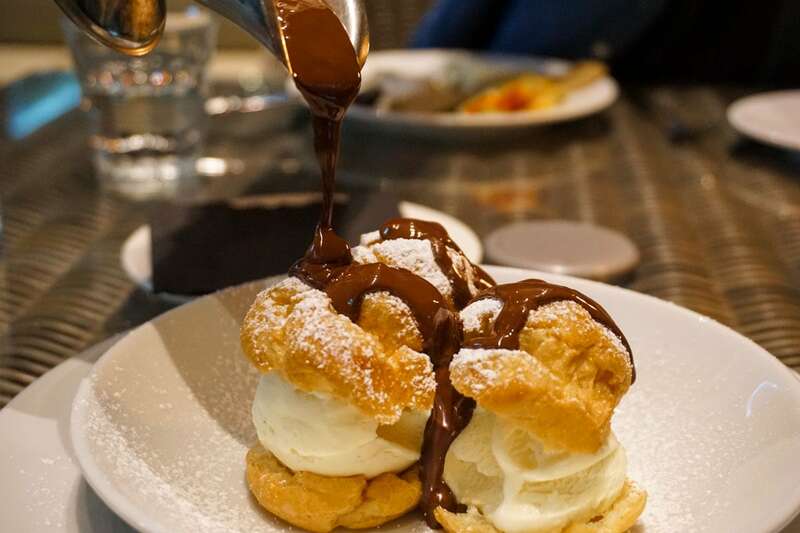 I opted for the ice cream profiteroles for dessert which came with a jug of rich chocolate sauce. The sauce was heavenly! 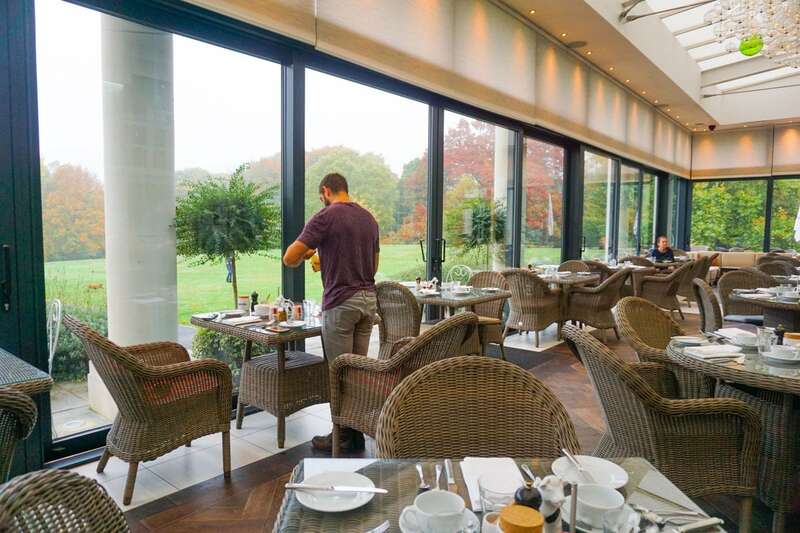 The Orangerie was transformed for breakfast, and while I was mesmerised by the gorgeous views outside, the food was equally as good. 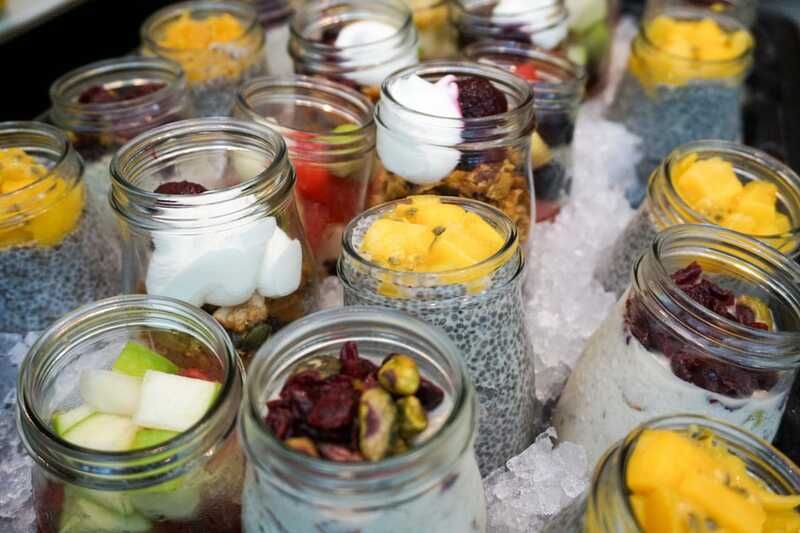 Along with a buffet spread of yoghurts, pretty fruit-topped granolas and chia puddings, cereal, juice and more, there was an a la carte menu. 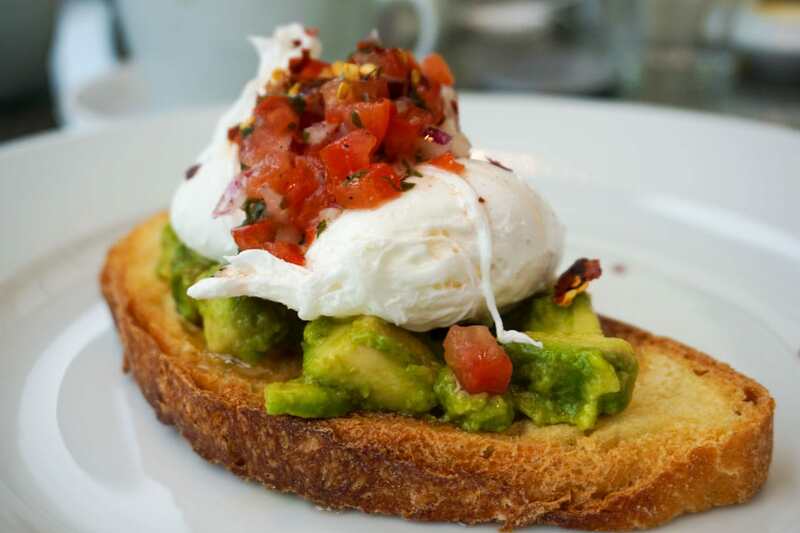 I ordered the avocado and poached eggs on toast, which again was generous, tasty and cooked to the perfect oozy stage! 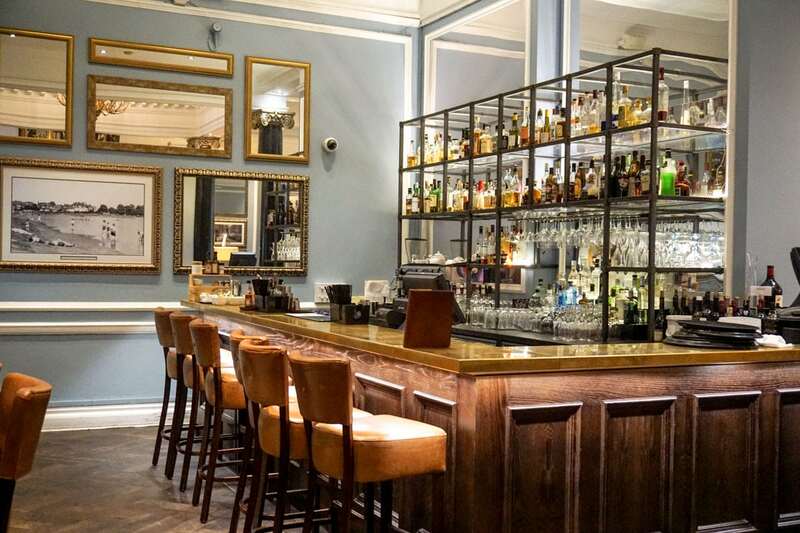 While Wimbledon Village and the tennis club aren’t far away, I loved the countryside feel of Hotel du Vin Wimbledon. It was wonderfully peaceful, and a place I really felt I could relax and unwind, while feasting on hearty French fare and enjoying cosy nights in the bedroom too! It’s definitely somewhere I’d recommend to couples looking for a special getaway, and while I experienced the cosy vibes, I can imagine it would be absolutely beautiful in the summer months, when the terraces and parks really come into their own! 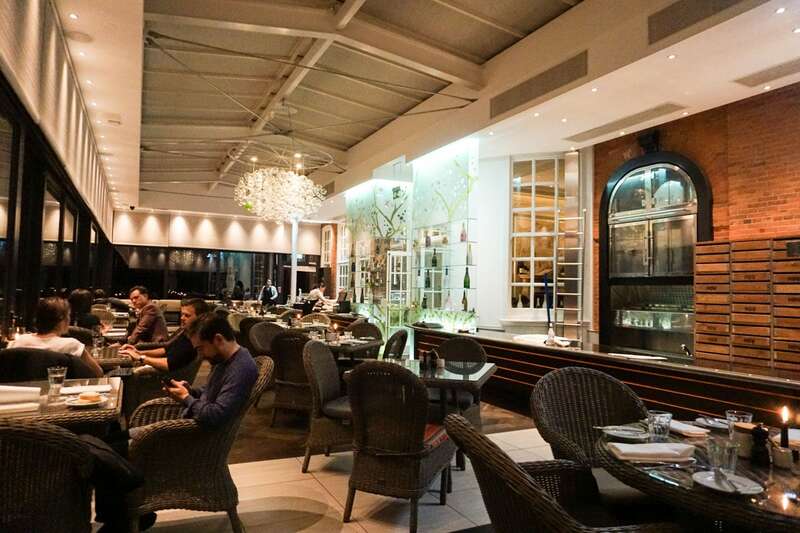 Find out more about Hotel Du Vin Wimbledon and the Eat.Love.Stay package. Thanks to Hotel Du Vin Wimbledon for inviting me to stay. As always, all thoughts and opinions are my own! That bed just looks fantastic!